You already know that knee/thigh High boots are my one constant this winter. I told you guys that I was going to avoid tights and be an advocate of bare legs until it became medically unsafe to do so. I think we're reaching that point- I wouldn't risk it for pneumonia. But you know what is compensating for this? High Boots. I've been wearing my high boots with skirts, shorts and shirt dresses which means that I'm still dodging wearing tights successfully. 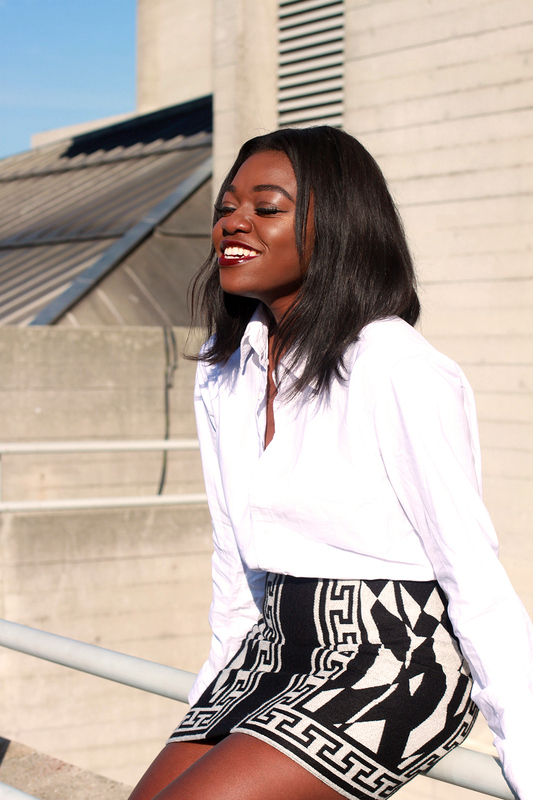 Fashion Blog • My Outfits | Tagged: john lewis, london fashion blog, my shoe story | 8 responses. 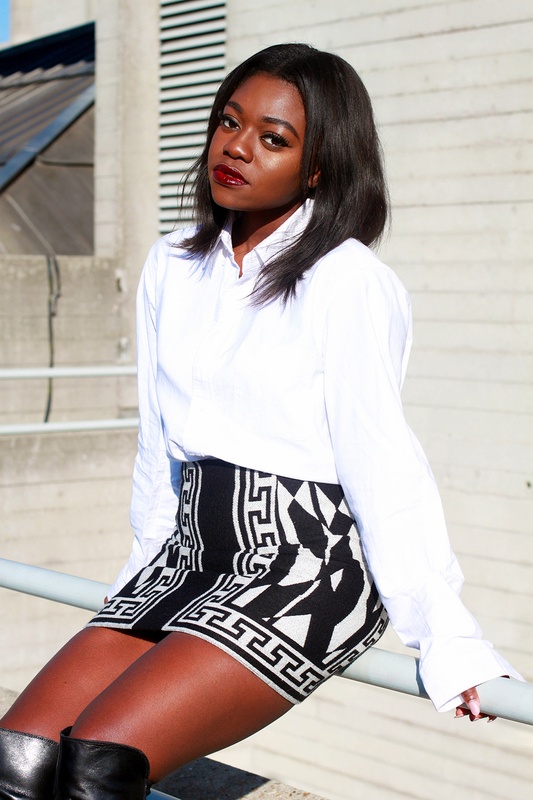 Congratulations on that skirt, Fisayo. Love it! Slay my life please. Just slay it. The pictures are fantastic, the outfit is love, and your lip-color is everything.